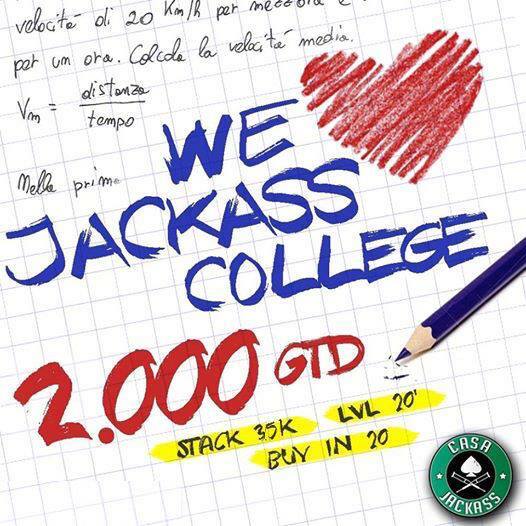 CASA JACKASS IS BACK - COLLEGE 2.000 GARANTITI !!! - Texas Holdem Poker - Tornei Live di Poker a Roma. CASA JACKASS IS BACK - COLLEGE 2.000 GARANTITI !!! - Bonus +10.000 STACK PUNTUALITA' entro 1' liv!! BONUS +10e ENTRO le 24 + JACKPOT PROGRESSIVO!